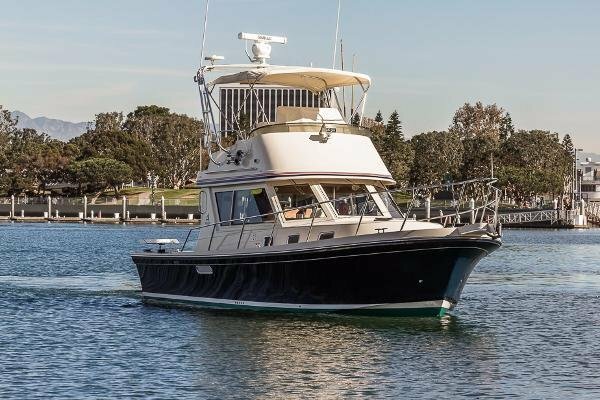 A rare 36 TE Express Flybridge with all new electronics and 2 new bait tanks (combined hold up 10 scoops). 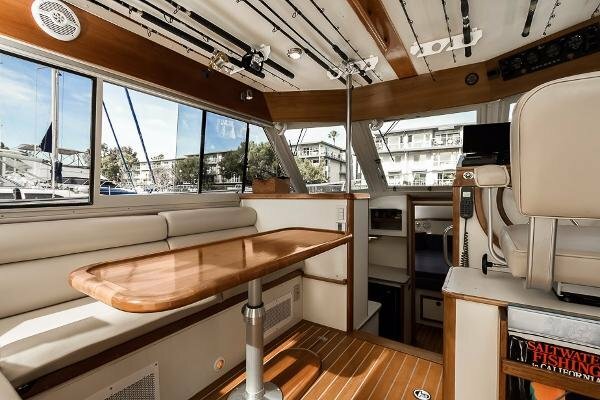 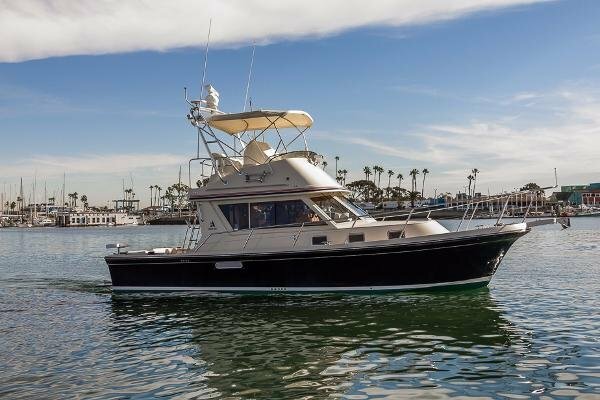 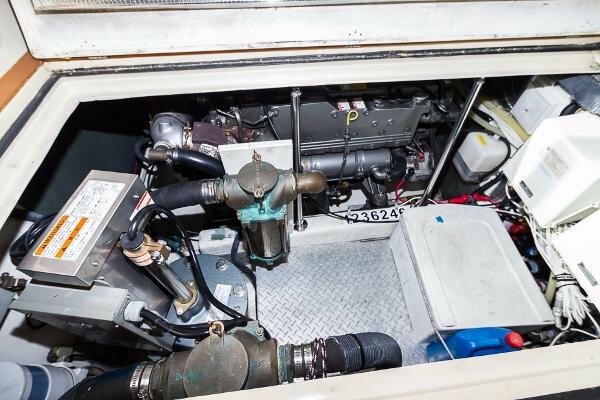 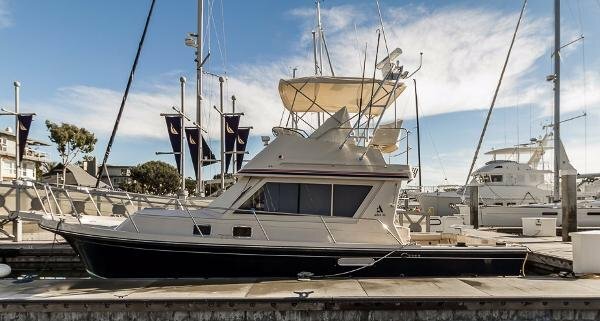 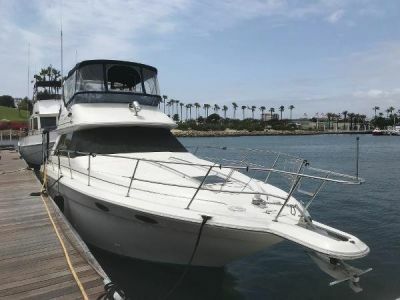 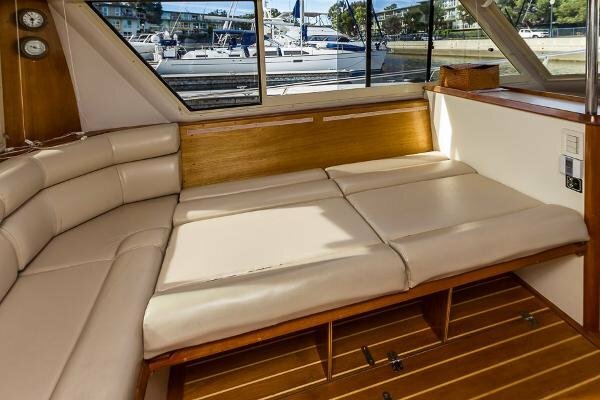 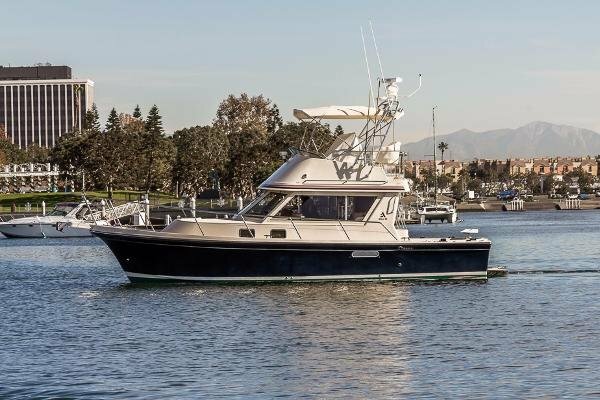 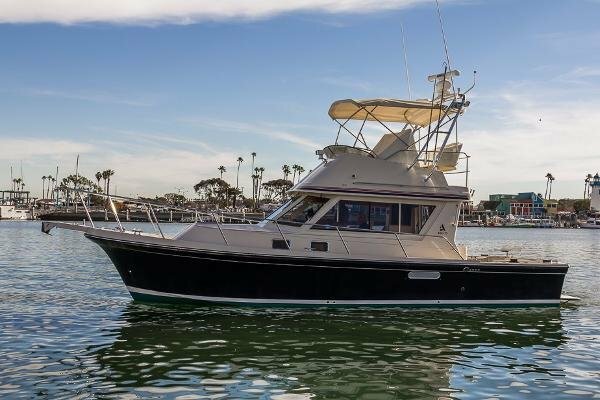 This unique 36TE Express Flybridge has been kept in immaculate condition, serviced professionally, and has been totally upgraded to fish in California and Mexico. 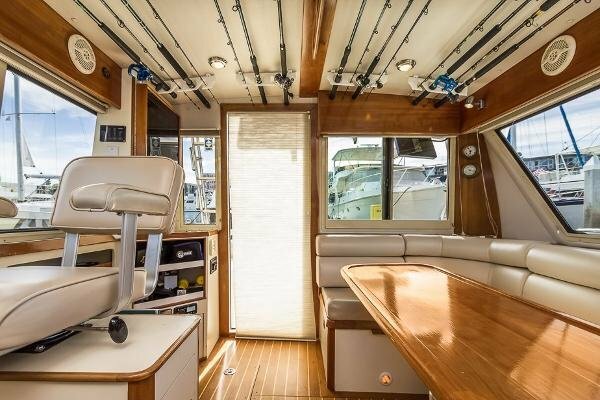 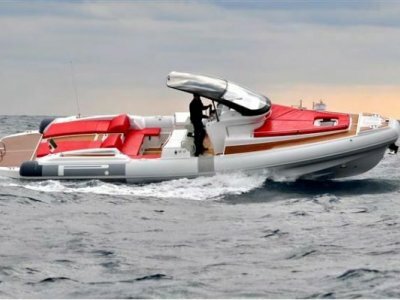 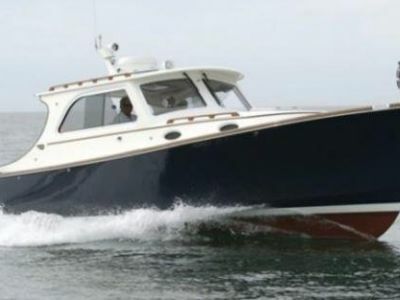 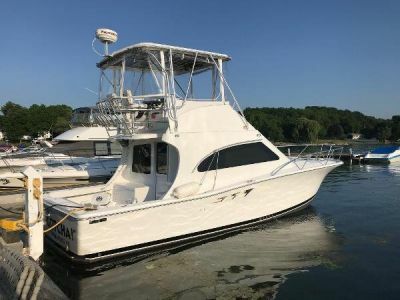 The current owner has spared no expense making this boat a rare fishing platform in comfort with the latest electronics highlighted by the new Furuno CH270 searchlight sonar in additional to all new Simrad electronics and Sonar hub with an Upgraded 1k transducer. 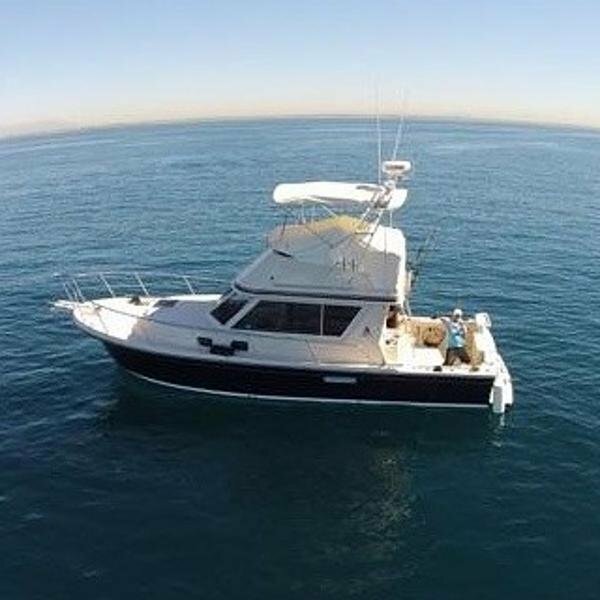 There is nothing like it in its size. 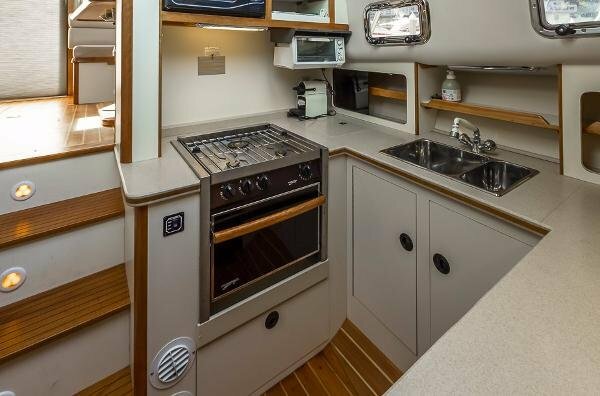 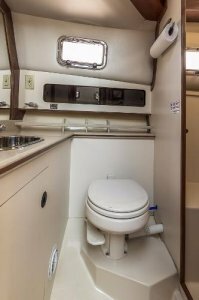 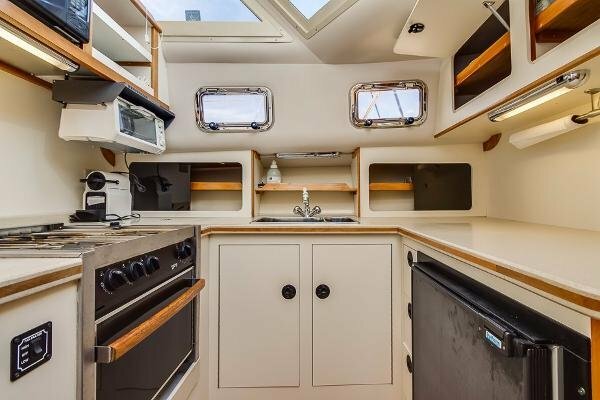 Fish in comfort or spend the weekend at the islands with family while cooking in the full galley and enjoying a hot shower and never worry about power with your new northern lights generator. 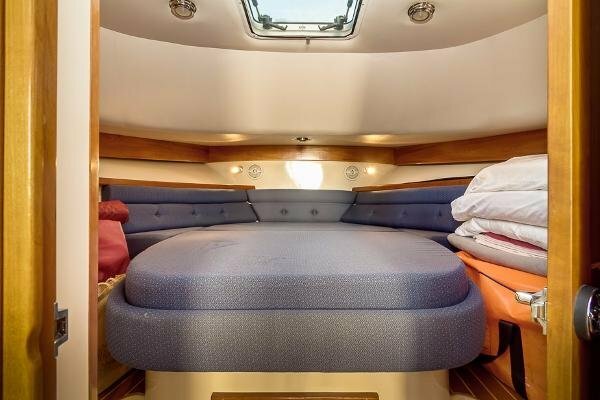 Stereo - universal input - XM Sirius Radio with Weather. 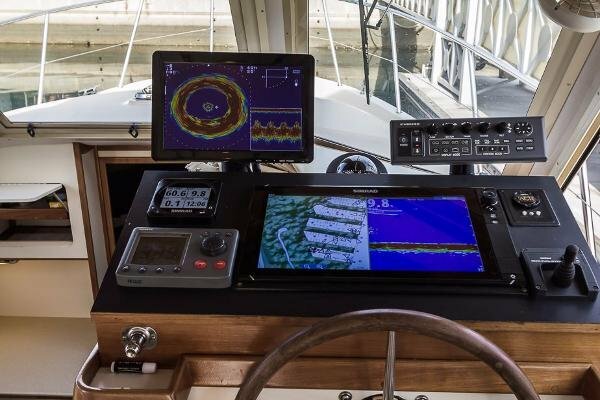 Simrad NSS Evo2 - 2 16 inch screen. 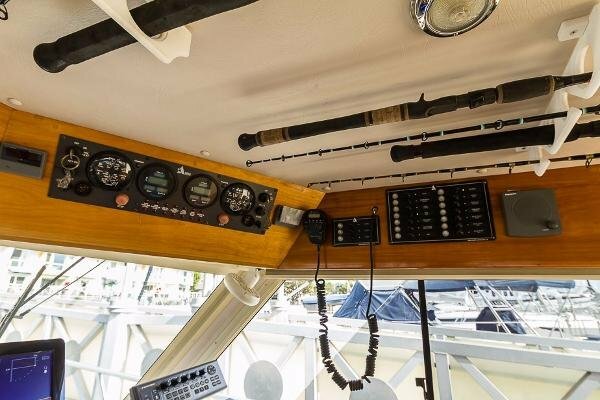 2 X Simrad color instruments. 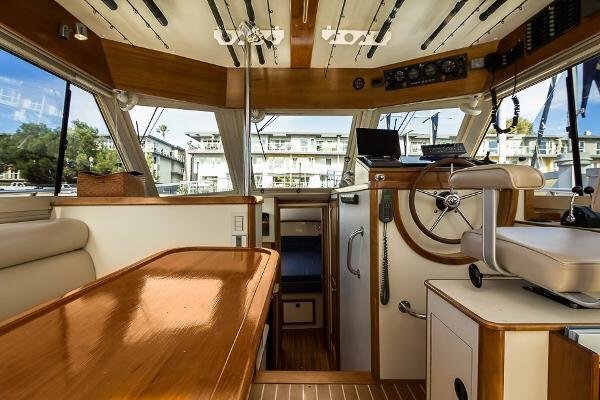 Simrad Halo 3 Pulse Radar W/ stand and anchor light.